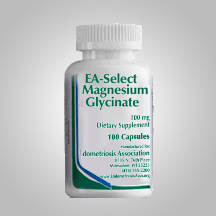 Magnesium is essential to many metabolic processes, necessary to relax smooth (non-voluntary) muscles. Magnesium helps convert carbohydrates, protein, and fats to energy, acts as a catalyst in thousands of enzymatic processes, regulates and maintains vascular tone, and is critical to proper bone formation. 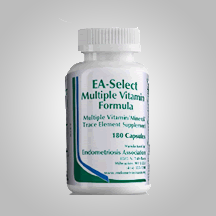 It regulates calcium and potassium metabolism, and assists in nerve transmission and conduction. What magnesium we get in our diet can be depleted by chronic stress, high sodium intake, a high intake of phosphorous (found in carbonated beverages, beef, and food preservatives), and alcoholism. Magnesium deficiency has been found to accompany allergy to Candida and has been reported in many patients with asthma, multiple chemical sensitivity, and chronic fatigue. 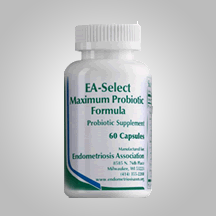 This formulation uses magnesium and the amino acid glycine to create a compound that is highly bioavailable and well tolerated by even the most sensitive individuals. Manufacturer’s suggested use: One capsule one to three times daily. One bottle contains 100 capsules. $10.43 for members and $13.32 for non-members.